The versatile VOX 4You range offers a simple way to set up a kids study area, with practical pieces that are made to last through your child’s school career. Last month, to kick off the new school year, we shared some tips on how to create a homework or study room. Today, we’re taking a look at the 4You range to see how it helps you create a study nook quickly and easily. Keep reading to find out how this range helps you plan a kids study area that can be set up in a bedroom or spare room. Section off a quiet area in your home. This could be in your child’s bedroom, in your home office, in a corner of the living room, in a spare room or anywhere else that offers a fair amount of peace and quiet. Having a space to work is crucial. Distractions make studying far more challenging than it should be, which is why you need a place that allows for optimal motivation and concentration. 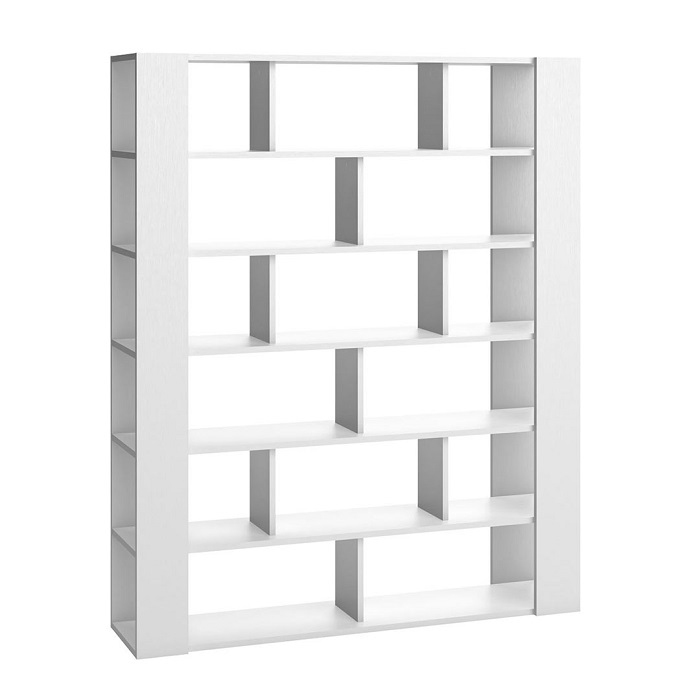 One way to achieve this is to section off space within your home using multi-functional shelving units such as the 4You Two-Sided Bookcase. Choose space-saving storage that grows with your child. Your child may not need to spend much time at their desk when they begin their school journey. Later on, however, as homework increases, they may find that they need more space for books and supplies. One of our most versatile storage solutions is without a doubt the 4You Storage Boxes set. These cubes can be added on easily, giving you the ability to add more storage as needed without taking up too much room. These boxes can also be stacked in a way that creates a study nook, making them even more versatile. Choose versatile furniture that adapts easily. 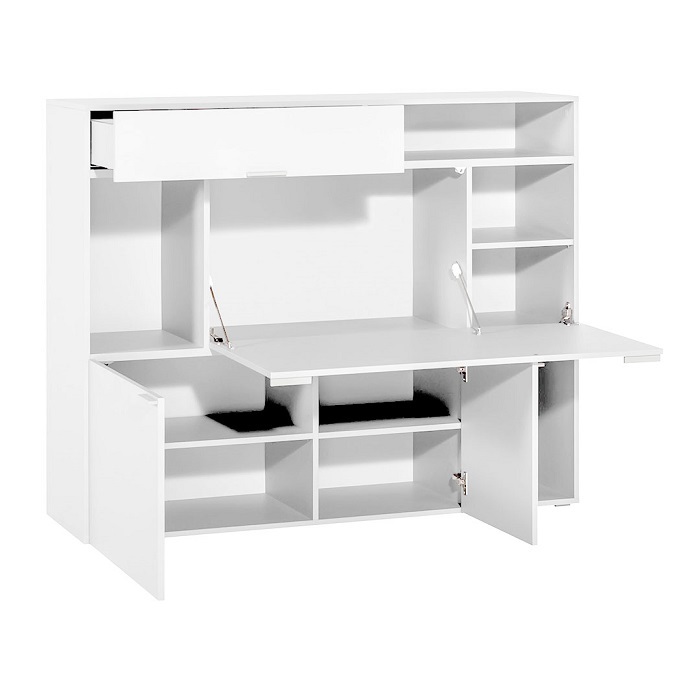 Another versatile option is the 4You Study Desk. This desk is a wonderfully functional desk featuring clean-lined design and clever storage solutions. Absolutely everything will find a storage space in this unique desk! Hide study nook when not in use. 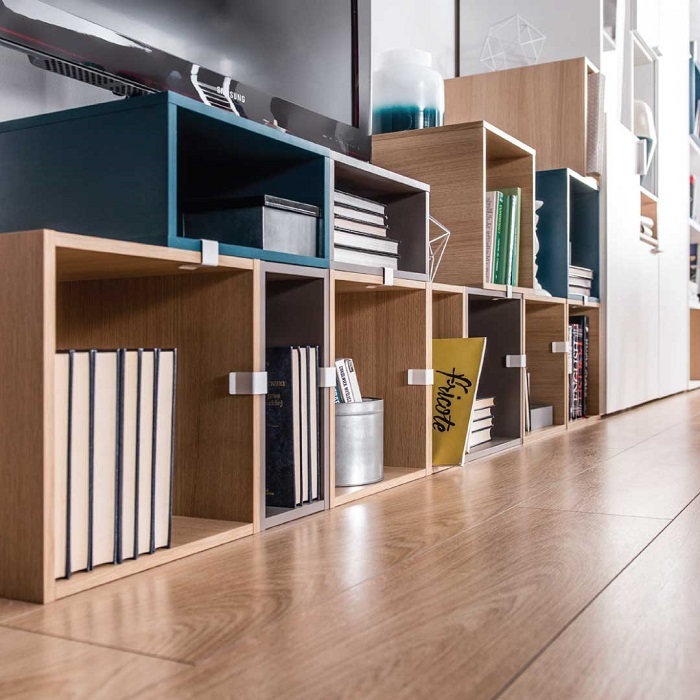 Another way that you can create a study area that does not take up much space is to consider a practical solution such as the 4You Cupboard. This unit easily packs away against a wall when not in use. 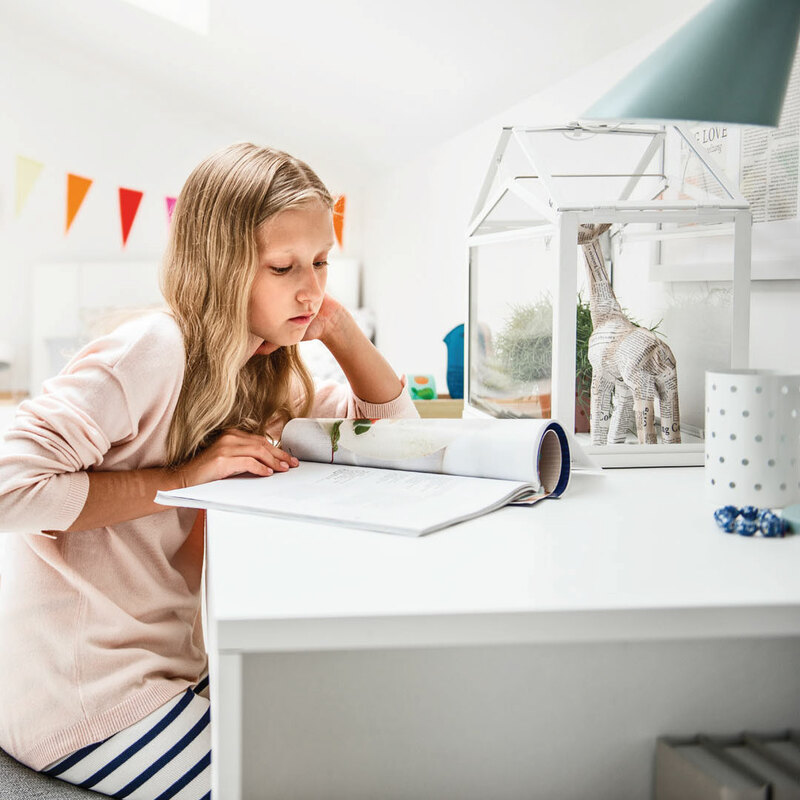 When your child is ready for homework or studying, the desk pulls out easily, offering a compact space that has plenty of storage and optimal surface space for a laptop and a few books. To see what other study furniture we have in store aside from the practical, stylish VOX 4You range, view our full range of kids desks and tables and plan the ultimate kids study area.